In her latest trilogy of books, author Stephanie Ann Smith has found inspiration in the Vineyard’s beauty and solitude, as well as its history. Ms. Smith, a professor of literature at the University of Florida, has been spending time on the Vineyard for many years. She has participated in two residencies at the Noepe Center for Literary Arts (formerly Martha’s Vineyard Writer’s Residency) in the past year and a half and is currently back for a third time. “It’s a great place to work for any artist because you have the gift that Justen [Ahren, Noepe founder and director] gives you of unrestricted time, and for inspiration you have the Island,” says Ms. Smith. 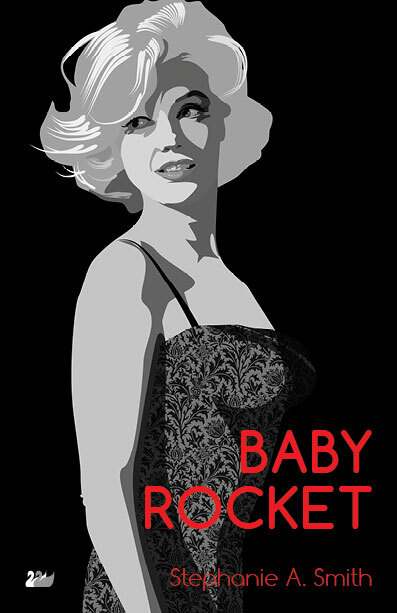 During her last stay she completed the second book of the trilogy, “Baby Rocket,” which was published this month. Ms. Smith will be at the Oak Bluffs Library this Saturday, June 22, reading from her latest book and talking about some of the research she has engaged in on the Vineyard. “Baby Rocket” focuses on the search for identity by a woman abandoned as a baby. After the death of her adoptive father, the protagonist discovers some clues to her past and goes on a journey of discovery that eventually leads her to Martha’s Vineyard — the setting for the second half. The third in the trilogy, “Content Burns,” which will be published in October, follows the stories of two women who have survived trauma of some sort. Both share a name — Content Burns — but are separated by three centuries. One woman is a 9/11 survivor; her predecessor, a Wampanoag, lives during the time of the Salem witch trials. Stephanie's newest novel CONTENT BURNS is now shipping. BABY ROCKET has been nominated for the The Book Awards. This author has held readings/book signings at the Bunch of Grapes bookstore on Martha's Vineyard. Read about the Martha’s Vineyard Writers Residency. Author Stephanie A. Smith will review your mss. for the rate of .02 cents a word. Read about her manuscript reading service.